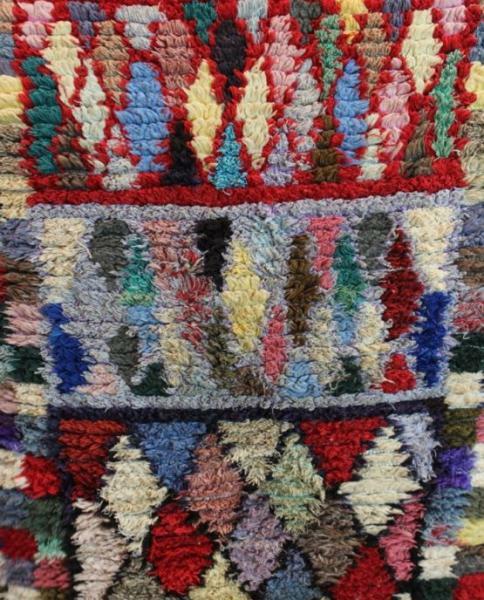 Despite its modern chic appeal, the Boucherouite carpet is woven into traditional Atlas Mountain culture. When poorer families were low in supplies during a cold winter, they washed and tore up old clothing to furnish their homes. Fortunately today, the carpet carries on in tradition rather than in necessity.